200 Clear Art Bags - for 8.5x11 Art gifts. 100 Clear Mat Bags - for 11x14 for Matted gifts. 22 Double Mats 11x14 - Quick-load w/backboard attached. PLEASE NOTE: This kit includes far more items than can possibly be depicted in a single photo. Please see above list of contents for a complete list of items. 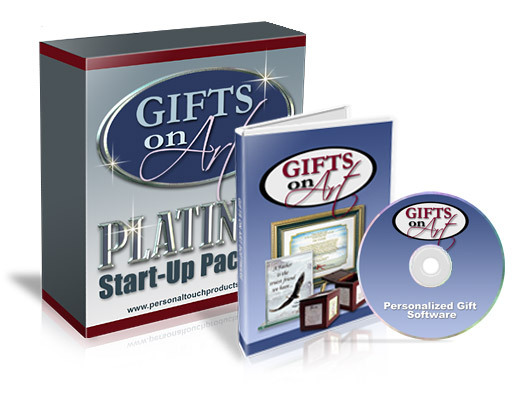 The Platinum start-up kit offers you a great value and includes far more than enough supplies to earn back your investment many times over. And as a Platinum customer you will also receive guaranteed best-column pricing for all future art orders regardless of quantity purchased. This will add up to significant savings for your business. 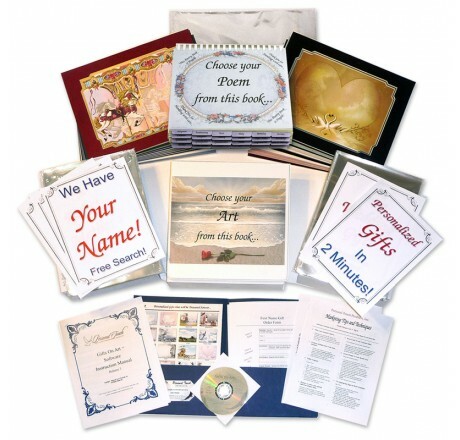 This package includes all of the PT Art backgrounds as well as the PT Poetry Book and PT Art book which will prove to be invaluable sales tools. 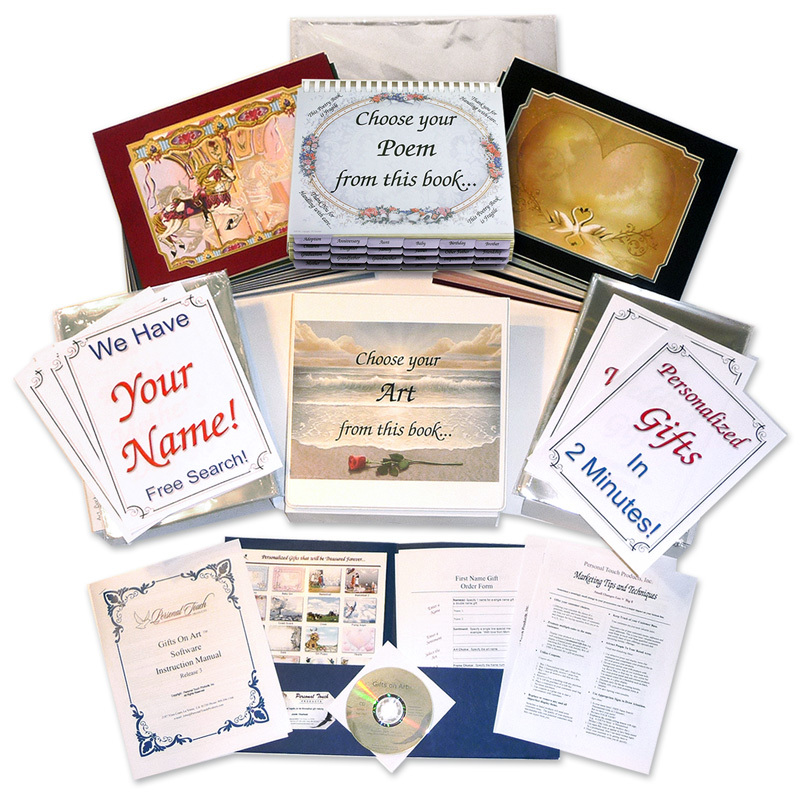 Suggested Items: The only other items that we suggest purchasing to kick-start your business are frames and additional mats as your budget permits: 1 case of 11x14 Frames, 1 case of 8.5x11 Frames, several of each of 10 different Mat colors. (feel free to ask us which mats we recommend). This will provide you everything you need to create a broad range of the most popular gifts to satisfy your customers ranging in price from $10 to $59.95.